At Adams & Knight, you’ll find extensive financial services experience for a wide range of companies. We don’t just know the industry. Many of us are veterans of it. So we truly understand it, from our side and yours. And our team consistently delivers fresh new ways of connecting with consumers and distributors alike. Experts with roll-up-your-sleeves experience. A former broker advices our financial services and insurance clients. Both principals, as well as other team members, have led banks and other financial organizations. So, rest assured, you won’t have to waste time getting us up to speed on your industry. There’s no page more important to your website then the homepage. So how do you keep it inviting and informational . . . without overwhelming your guests? Try these tips from our senior web developer. Marketing forecasters predict that more companies will adopt SaaS solutions in 2015 to advance their business goals and strategies. Our Marketing Technology SVP, Brian McClear, completely agrees with this trend and suggests five reasons why corporate leaders should be on board with SaaS. Squeezing as much ROI as possible out of video production can be a challenge. 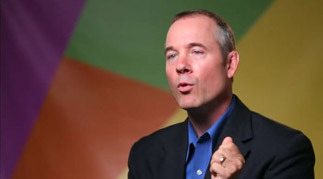 Fortunately, our SVP, Marc McFarland discusses one approach that can help financial services marketers take their next video to the next level—and get results. Do you know the key principles that are absolutely essential for marketing financial services today? 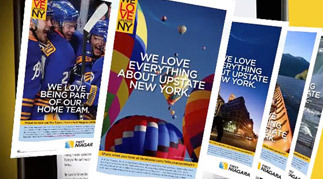 See all the ways we helped First Niagara announce its acquisition of HSBC branches, reach out to customers and welcome new ones!